If you love classic timepieces, you’ll know they deserve the best care, love and attention to maintain and enhance their condition and value – so you need total confidence in the experts to whom you entrust their servicing or restoration. So you’ll be assured to know that you can place absolute trust in Steven Hale (formerly Steven Hale Watch Restoration or SHWR), a well-established, highly respected company of expert repairers and restorers of premium-quality wristwatches and pocket-watches. Founded in 2005, we formerly acted as the watch restoration department of Somlo Antiques in central London’s Burlington Arcade, before establishing an independent business nearby in Mayfair. 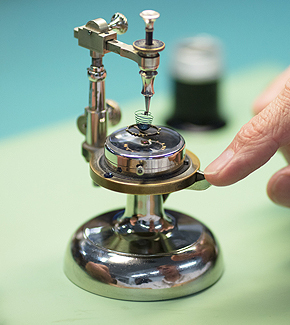 We offer a complete watch servicing, repair and restoration service, with our expert watchmakers using the most advanced equipment and highest-grade materials to ensure optimum operational durability, function and longevity. Working in new purpose-built premises, our service is fast, efficient and to the highest standards; in addition, our excellent industry connections and extensive stocks of genuine parts cover the majority of the world’s top watch brands. We also value, acquire and sell watches, personally guaranteeing the working order and authenticity of all the timepieces we sell. Our loyal client base includes some of the finest London jewellers and watch-dealers, as well as discerning individual collectors and classic watch experts. Introducing our expert watchmakers, who will repair, revive and restore your favourite timepiece so as to give it a whole new lease of life! 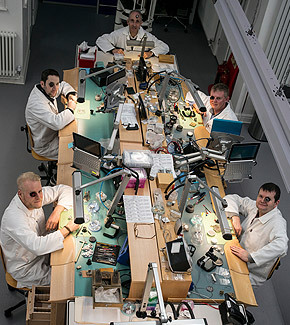 All our watchmakers are either Swiss-trained at the Watches of Switzerland Education Program (WOSTEP), a world-leading school of watch-making and/or the British Horological Institute. Together, these esteemed houses have enriched our watchmakers with a wealth of training and knowledge in horological engineering, watch repair and restoration, covering an extensive range of ‘haute’ watch brands. 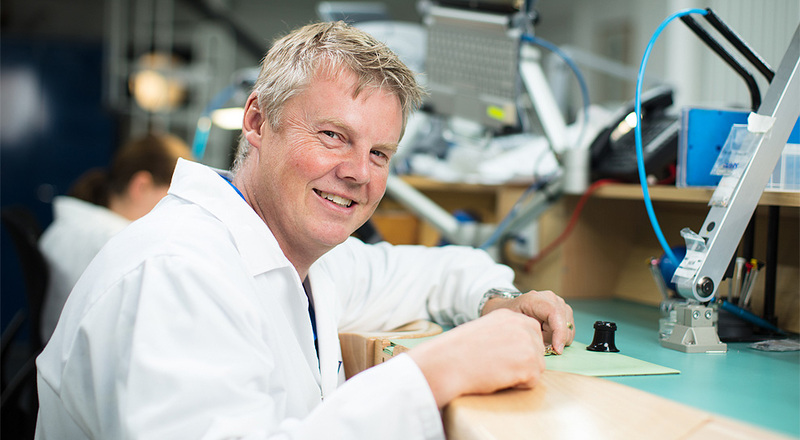 Steven Hale is the founder of SHWR – and as well as running the company, he actively undertakes all aspects of watch restoration, including Computer-Aided Drawing (CAD) and watch-making machinery operation. 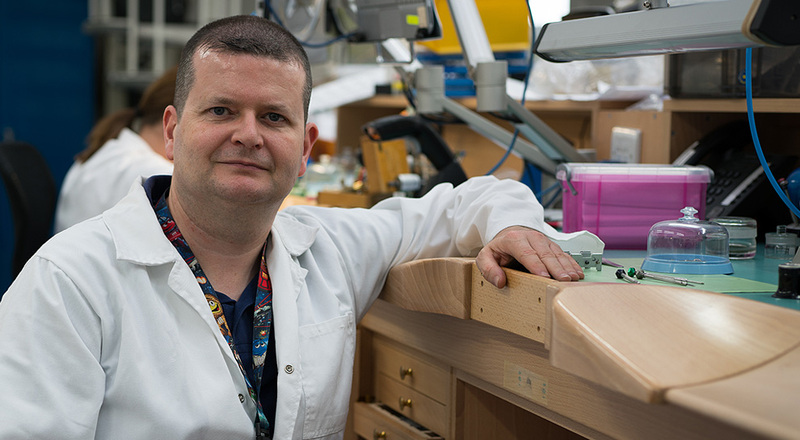 With a family background in engineering, Steven studied horology in Manchester in the late 1980s; he then undertook several WOSTEP (Watches of Switzerland Training & Education Program) courses before spending 16 years continuing to hone his professional horological skills in a high-end vintage watch shop. Willing to tackle virtually any job, however complex, Steve relishes a challenge. He will undertake the most complex restorations, and is more than happy to reverse-engineer even the most obsolete components to ensure the perfect functioning of a valued timepiece. He is a single-handicap golfer, and weekends find him coaching an FA-approved youth football team. John studied Horology at Birmingham Polytechnic, graduating in 1990. Thereafter, he worked for a high-end watch brand before joining Steve at Somlo Antiques, London, in 1995, running the repairs department. 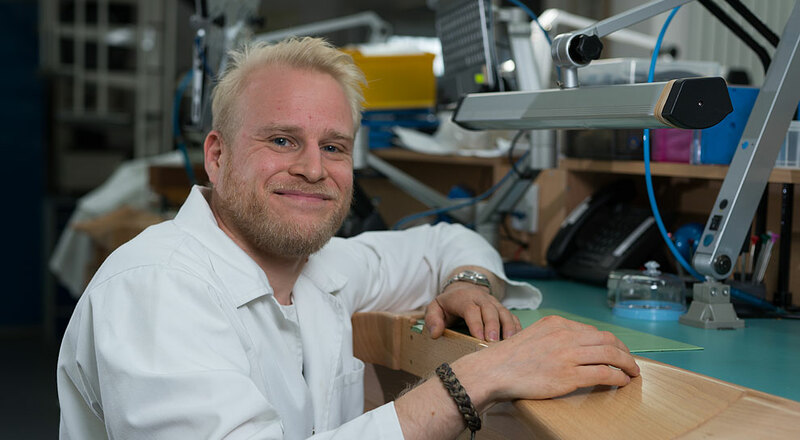 John graduated from WOSTEP (Watchmakers of Switzerland Training & Education Program) in Switzerland after completing the Refresher, Turning and Complicated courses and is now head watchmaker, specializing in vintage restoration. Like Steve, John relishes a horological challenge which involves hand-making many bespoke (and often obsolete) watch parts. 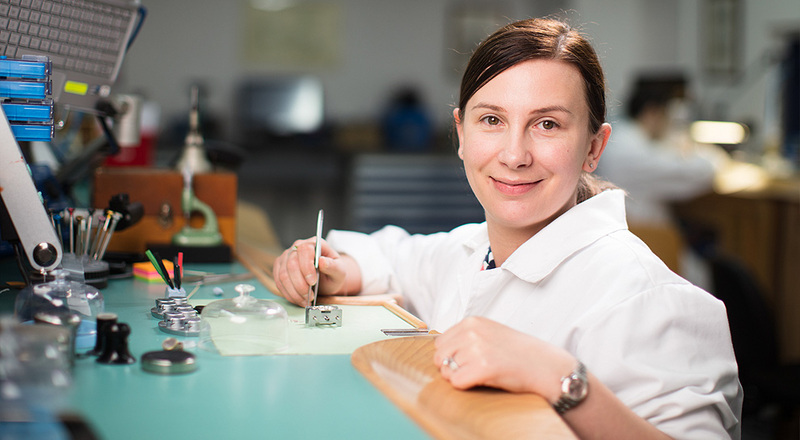 Gaelle studied watchmaking in France, her native country, where she obtained her CAP, Baccalaureate and WOSTEP certificates. She then immediately moved to the UK to start working at Breitling, where she spent over six years. Gaelle studied watchmaking in France, her native country, where she obtained her CAP, Baccalaureate and WOSTEP certificates. 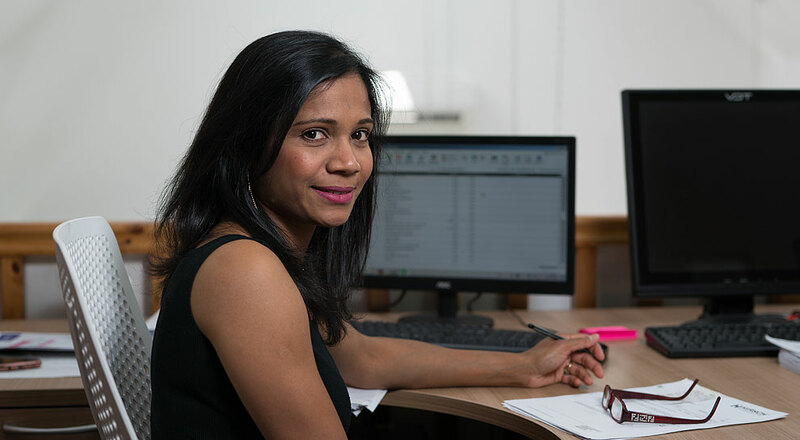 Gaelle then immediately moved to the UK to start working at Breitling, where she spent over six years. She then moved on to Patek Philippe, where she passed her level 2 and 3 qualifications. Alongside repairs, she also performed quality control for two years, joining the SHWR team in 2015. She mainly repairs vintage watches, and enjoys the variety of work on offer. When Gaelle's not working, she enjoys clay shooting and reading. Rossano joined SHWR at the beginning of 2015. 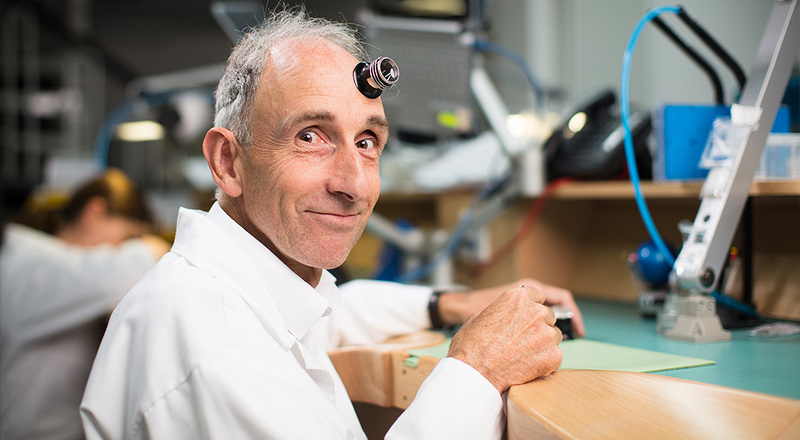 He has enjoyed a long and successful career in restoring jewellery and watches over nearly 30 years. Since he joined the team, he has developed and demonstrated several techniques now adopted by Steven Hale himself. Rossano’s passion in case restoration, and he delights in exceeding customer expectations in producing finished works of the highest standards. 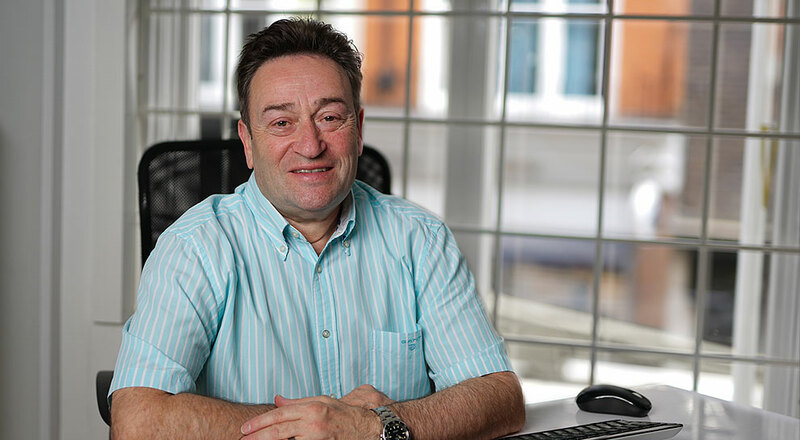 After some years working for the Swatch Group and then for Breitling, Derek joined Steven Hale in 2001 when the latter was manager at Somlo Antiques. He then moved jobs and followed Steven when he created SHWR. His leisure time is spent with his family - including his new baby daughter! Jonas graduated from the Finnish School of Watchmaking and has previously worked for A. Lange & Söhne, Breitling and Omega. Jonas has extensive experience working in different functions, including vintage restoration, final assembly, after-sales service. Jonas graduated from the Finnish School of Watchmaking and has previously worked for A. Lange & Söhne, Breitling and Omega. 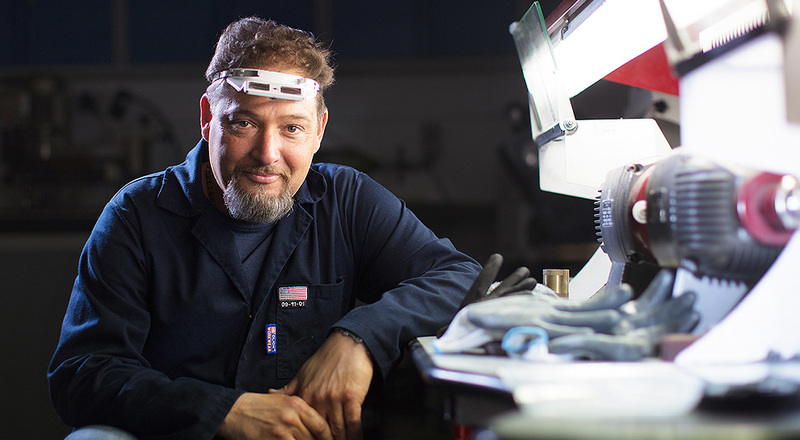 Jonas has extensive experience working in different functions, including vintage restoration, final assembly, after-sales service, and high-end boutique work. Simon graduated from the Institute of Horology, Dublin, in 2000 and He has worked with many Swiss brands in after-sales services including and Hublot. Simon commenced working with Steven in 2001. 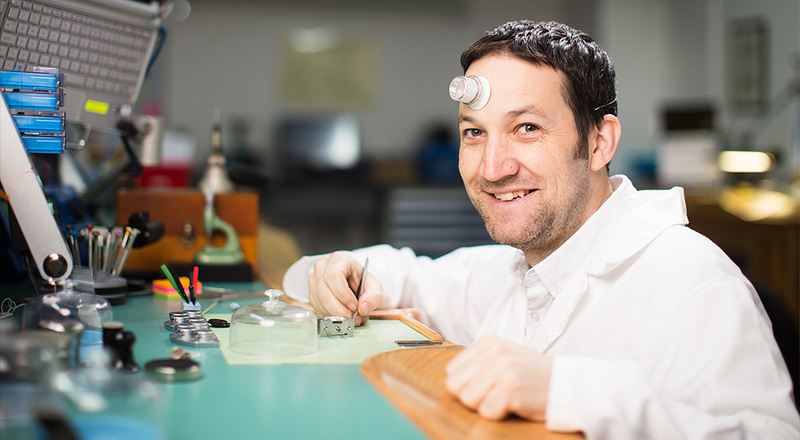 As well as watchmaking, Simon also helps with the day-to-day running of the workshop. Marjanah was born in Malaysia, and for some years she worked for Malaysian Airlines, during which time she was promoted to Duty Officer for all crew. Marjanah then met Steve and moved to UK, where she and Steve were married. Marjanah was born in Malaysia, and for some years she worked for Malaysian Airlines, during which time she was promoted to Duty Officer for all crew. Marjanah then met Steve and moved to UK, where she and Steve were married. They now have two children and she divides her time between looking after her family and acting as Administrator for SHWR. Adrian Stern has been with the company since the beginning, back in 2006. He is married with two daughters and two grandchildren, and he follows in a family tradition, since his father (now retired) was a watch repairer. Adrian’s background is in Facilities Management, and he has an excellent understanding of the technicalities of both manual and automatic watches. This is invaluable in helping Steven communicate to customers the inner workings of watches – as well as the work required to repair and restore them. "My wife brought the watch back today and It's really fantastic to see it working like new and looking like new. I really appreciate that you didn't polish the housing too much and it has a real feel of authenticity about it with the combination of refurbished internals and original casing. I'm really delighted with the result, it's great to have something from nearly 100 years ago to hold and describe for the next generation"
Just to say how pleased I am to have my watch back and that it is keeping perfect time for the first time since I bought it some 68 years ago. My congratulations to the team who have given it the ability to keep working accurately for more years. Thank you all. Watch arrived safely this morning thank you and it looks stunning just have to have it adjusted strap wise. Thank you for your wonderful service i shall certainly use you guys again and reccomend you. I collected the watch on 11 August, as you know. It is a pleasure to have it back in full working order and looking as good as new. How it came to be so damaged, I do not know. The crystal and dial are fresh and clean in striking contrast to their previous condition. The watch was my grandfather’s silver wedding anniversary present to my grandmother. It was with her when she and my grandfather were deported from Guernsey to Germany in 1943 and returned with her to Guernsey in 1945. The watch will pass to my granddaughter in a few years’ time.Please pass my thanks and appreciation for his work to the watchmaker. 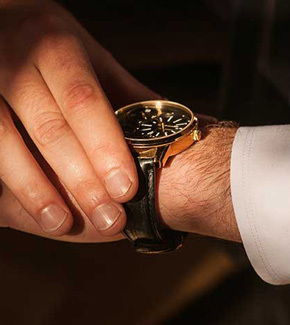 Steven Hale offers a total timepiece repair, servicing and restoration service from premises in the heart of London’s Mayfair. We also offer a range of fine classic and vintage wristwatches and pocket-watches for sale, fully guaranteeing their authenticity and working order. © 2017 Steven Hale (SHWR) | Privacy & Cookies Policy.